Discover The “3-Step Game- Plan” Pros Use To Build 6 Figure Businesses, Fast. 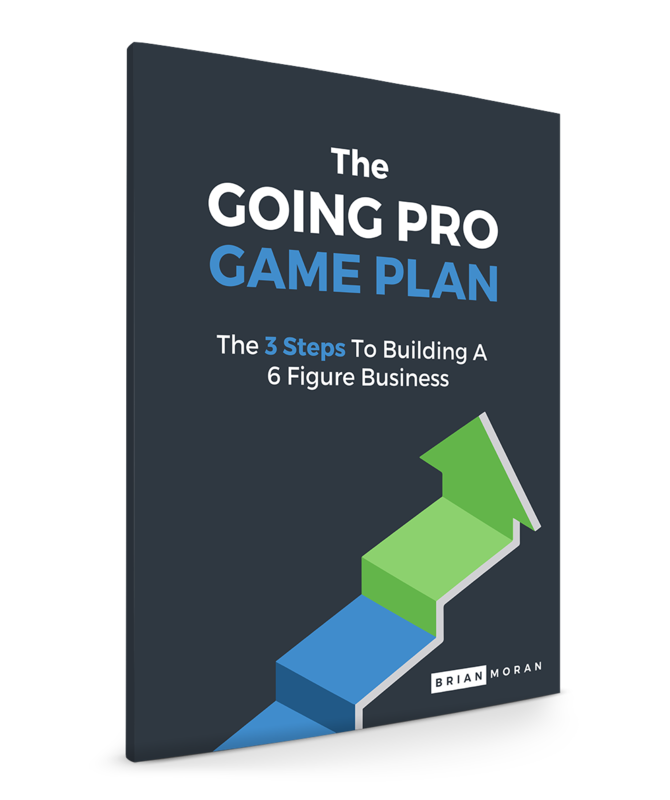 Grab your copy of The Going Pro Game Plan today, and we will include the Digital Version + The Audiobook with your order! 1-Time Offer: Includes the Going Pro Manifesto (the 3-step process for creating time-freedom), the "Missing Chapter" , and the "18 Laws of Going Pro". Everything you need to fire up your business - FAST. Value: $199.00 - Right Now Just $47!